The author talks about how he wrote Bellevue Square. Michael Redhill is a poet, playwright and novelist who has garnered much acclaim for past novels like Consolation and Martin Sloane. 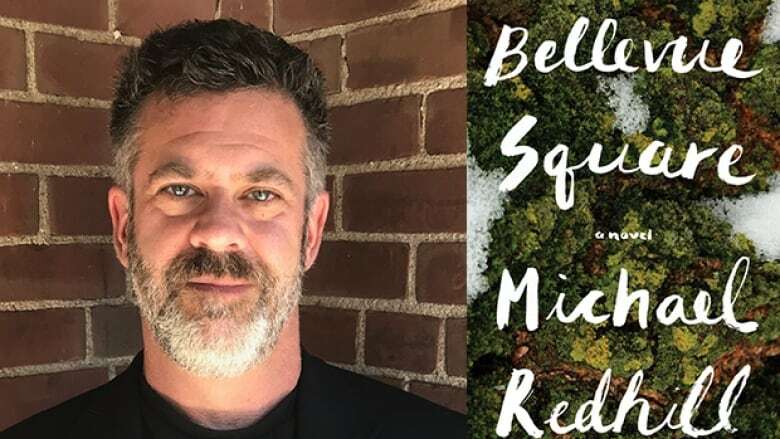 His latest, Bellevue Square, won the 2017 Scotiabank Giller Prize. It's a novel that plays with literary tropes — specifically within the genres of psychological thriller, science fiction and historical narrative — to tell the story of Jean Mason, a woman who finds out that she may have a doppelgänger in the bohemian Toronto neighbourhood known as Kensington Market. Jean decides to investigate, setting off a chain of events that puts the protagonist through the proverbial emotional and mental wringer. In his own words, Redhill shares how he wrote Bellevue Square. "The original inspiration for the book came to me when I was at Bellevue Square Park in Kensington Market. It's a part of town that I go to a lot, I love Kensington Market. There was a morning in 2010 when I was just watching the passing parade of humanity. It occurred to me that there was no repetition — every person who walked into that park was as bizarrely unique as the person before them. And the idea came to me — what if there was some kind of computer glitch in this 'character generator' that is a park and suddenly someone who was completely identical to me walked in. What would I do?" "It took a lot of time for me to write. On the first couple of drafts, I'm just trying to get at the story and understand the main characters. Then on subsequent passes — of which there are many — I find myself putting down different layers, feeling out what's missing. I wrote, listened to what was happening, and responded to what I felt the book wanted and needed." "I do feel emotionally involved when writing, but not in the same way I would if any of this was happening to somebody I actually knew in the real world. When you're writing, you are standing back, almost like being a bad parent. I wouldn't describe it as dispassionate, it is more analytical. However, I think the writer needs empathy as a basic building block to write anything that the reader is going to believe." "It was seven years of composing drafts. There was a long process of complexity, followed by simplification, and followed by dead ends. It was often about backing up and figuring out where to go. I started the book on as realistic a footing as I could, because the genre itself — call it a mystery, a thriller, a ghost story or whatever — doesn't interest me as much as the psychological roots interest me. I tried very hard to listen to both my own subconscious, as well as the subconscious of the book, to figure out what turns the novel could take. The book has a subtle and complicated internal structure. I do believe that it will reward readers on more than one reading." Michael Redhill's comments have been edited and condensed.